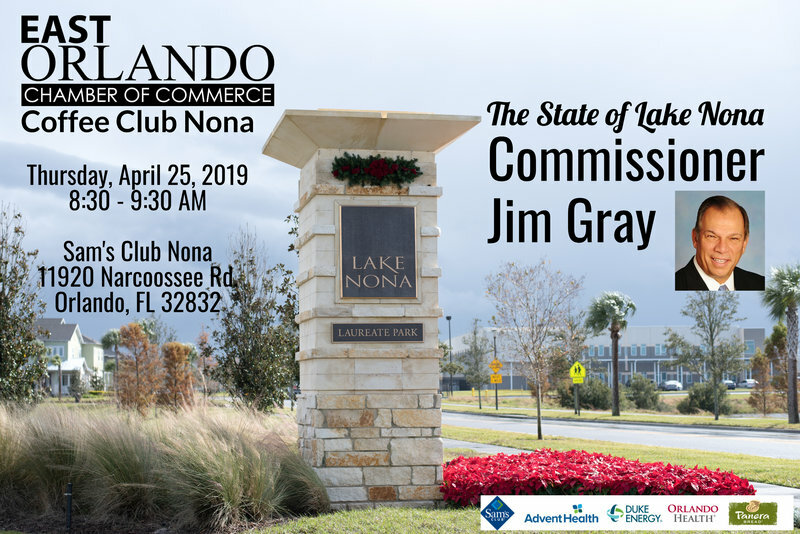 Join us as Commissioner Jim Gray offers the State of Lake Nona at our next Coffee Club Nona! Coffee Club Nona meets the 4th Thursday of the month at Sam's Club Lake Nona. The format of the group includes a fun networking activity or guest speaker with some open networking. Advent Health, Duke Energy, Orlando Health , Panera Bread our coffee sponsor and Sam's Club Lake Nona our Host Sponsor.